FRA - all flights to be routed via Dubai with full 5th freedom rights. NRT - all 3 weekly flights currently flown via MLE to be suspended and be replaced with flights flown via HKG using an A 343. BKK - frequencies reduced to 4 times a week nonstop terminator flights; onward flights to HKG are cancelled. LHR via AUH -UL 511/12 will not fly nonstop CMB-LHR but instead will fly this route 3 times a week via AUH to LHR on TUE/SAT/SUN only. UL will have 5th freedom traffic rights on the AUH-LHR-AUH sector. Singapore Airlines has officially confirmed that it will be suspending its 3 weekly Dubai-Moscow flight from July 4th 09 due to economic reasons associated with the route's overall viability. As a result of this move, SQ's SIN-DXB-DXB weekly flights get reduced from 20 to 17 times per week using a mixture of B 772s and B 773s. AKL - frequencies increase from 5 weekly to daily nonstop flights using a B 772ER. SYD - capacity increased from a daily A 332 to a daily B 744. BKK - frequencies increased from double daily to 17 weekly nonstop flights using a B 773A. AMS - capacity reduced from 3 weekly B 772ERs to 3 weekly A 332s. PRG - capacity increased from 3 weekly A 332s to 3 weekly B 772ERs. VIE/ZRH - capacity reduced from 3 weekly B 744s to 3 weekly A 333s. Lufthansa has officially announced that it will be adjusting capacity and frequencies to Dammam and Bahrain from late September onwards by flying both routes with smaller aircraft to cater largely for the petroleum traffic. 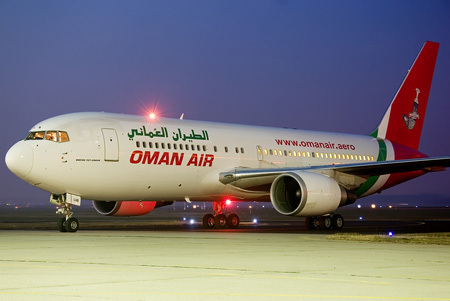 DMM will be only flown to 3 times a week nonstop using a B 738 operated by Privatair which will be extended to BAH. The city of Bahrain though will receive daily flights from FRA using a B 738 as well with 4 flown nonstop and 3 flown via DMM. Continental Airlines has revealed on the GDS system that it will be increasing capacity on its Newark-Brussels bound flights between June and September 2009 to cater for increased premium and leisure demand during the peak holiday period on this route. Currently, it flies the route on a daily basis using a B 764ER however, from June 6th till Sept 7th it will be utilizing the Boeing 777-200ER on this route which seats 50 passengers more per flight compared to their B 764ERs. BA too announced that due to the on going worldwide economic turmoil, it will be grounding 8 Boeing 747-400s + 8 Boeing 757-200s for the IATA Winter 09-10 season. It has not mentioned as yet though which routes in the winter season wont see B 744 service but its expected to be largely in North America. Emirates has revealed on the GDS that it will be increasing capacity to LAD-Luanda, Angola from its launch on set from a 3 weekly A 332 to a 3 weekly Boeing 777-300ER due to increased demand for first and business class travel from this oil rich country. the other major change announced by EK concerns its Athens operation which will see its station's capacity reduced from daily B 773ER + daily A 332 to 4 weekly B 773ER + 10 weekly A 332. MRU - frequencies increased to 9 weekly nonstop flights from daily. MLE - frequencies increased from 11 times weekly to double daily. CMB - frequencies increased from double daily to 18 times per week. On the other hand, with regards to its planned increase of KRT-Khartoum from daily to 10 weekly nonstop flights, this plan has been shelved until the worldwide economy improves. MEL - new 3 weekly nonstop flights operated by an A 332 eff Aug 1st where as DPS-MEL would be reduced from 5 to 4 weekly flights flown by an A 333. SYD - new 3 weekly nonstop flights operated by an A 332 eff Aug 1st where as DPS-SYD would be reduced from 5 to 4 weekly flights flown by an A 333. ADD/BKK/CAN - frequencies increased from 6 weekly to daily flights using a B 763ER. ADD/BKK/HKG - frequencies increased from 3 to 5 weekly flights using a B 763ER. KLM has revealed on the GDS system that it will be reducing flights to Cairo, Egypt flown nonstop from its AMS hub for the entire IATA Winter 09-10 season from a daily nonstop flight to a 6 weekly service using a Boeing 777-200ER. No official reason has been cited for this surprising move as CAI sees huge demand in the winter season due to climatic reasons. Arik Air of Nigeria has officially announced that it will be launching a new daily nonstop flight from its main LOS-Lagos hub to JNB-Johanesbourg in South Africa using an Airbus A 340-500. This new flight will be launched from June 2009 onwards and will be the only second airline flying this route nonstop along side South African Airways who flies this route 4 times a week nonstop using a Boeing 747-400. Arik Air too mentioned that it hopes to launch nonstop flights from LOS to New York JFK from November 1st 2009 with an A 345 flown 3 times a week only.